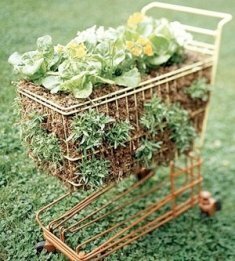 The Container Gardening Blog is your way of keeping up to date with new additions to Container-Gardening-For-You. And you'll find out when I learn of any new tips or secrets that will make our Container Garden life a little easier. Become part of the Container Garden Blog! Simply tell your favorite story by clicking here! 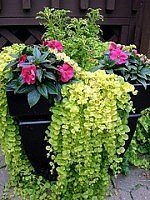 Your story becomes part of this blog (which shows the site's most recent pages) and a permanent part of Container-Gardening-For-You.com for others to read! And I'll tweet your Web page at my twitter account too! 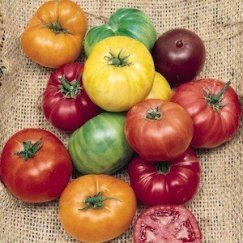 How late can I winter sow? Continue reading "How late can I winter sow?" How to Grow Wheatgrass is part of our easy-grow herb and container vegetable gardening series. 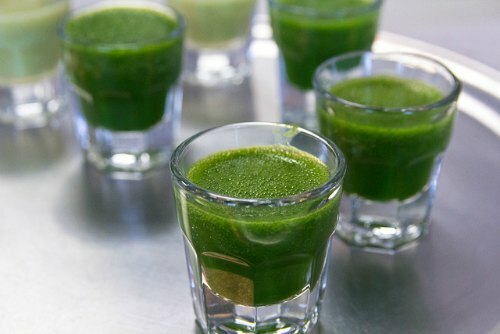 Get the benefits of wheatgrass when you grow your own from kits or seeds. Continue reading "How to Grow Wheatgrass in Container Gardens"
Dictionary of Flowers for Container Gardening: Phlox Drummondii. 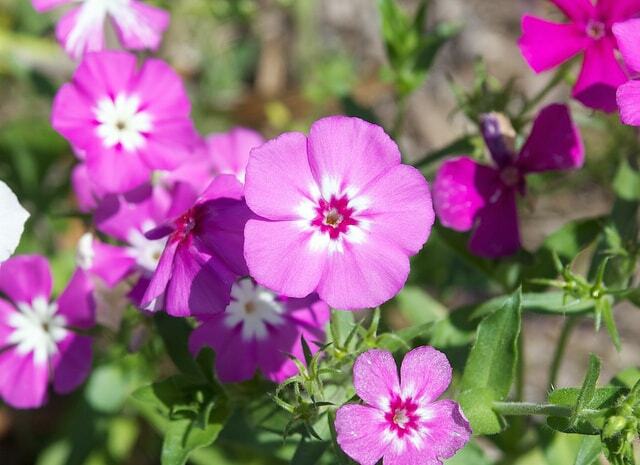 Annual Phlox is a pretty flower available in a range of colors. 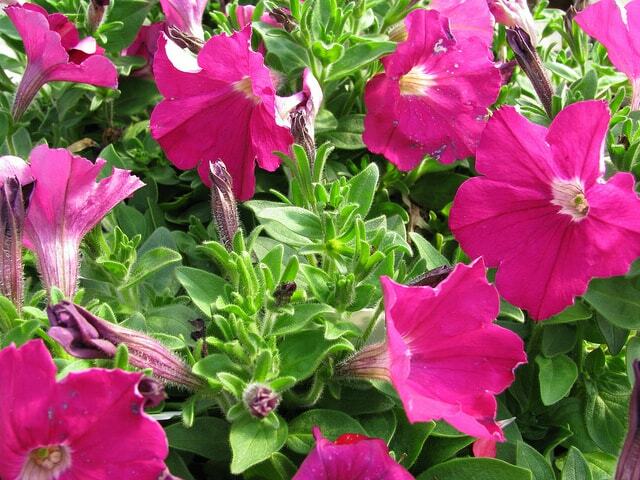 Continue reading "Phlox Drummondii: Dictionary of Flowers for Container Gardening"
Dictionary of Flowers for Container Gardening: Petunia. There are as many varieties of this lovely flower as there are days of the year! 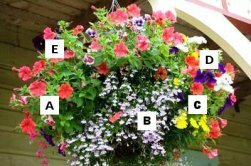 Continue reading "Petunia: Dictionary of Flowers for Container Gardening"
Dictionary of Flowers for Container Gardening: Perilla Frutescens. 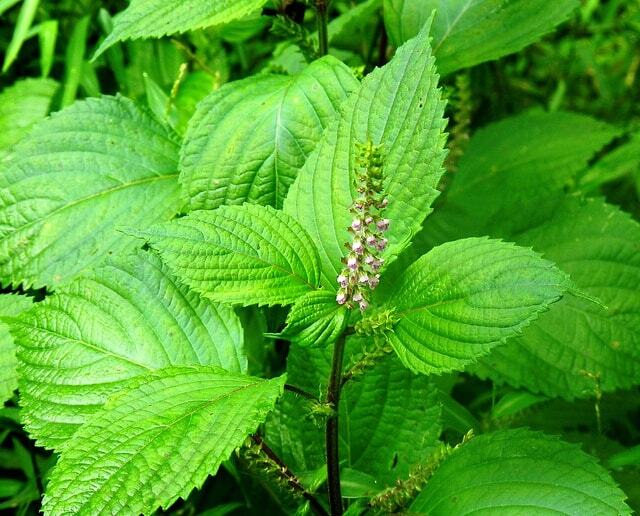 Also known as Beefsteak Plant and Chinese Basil, a solid green accent which also flowers. Continue reading "Perilla Frutescens: Dictionary of Flowers for Container Gardening"
Dictionary of Flowers for Container Gardening: Pennisetum. 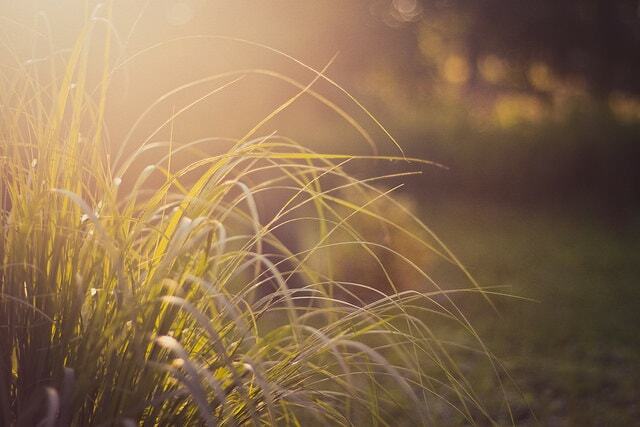 Also known as Fountain Grass, this lovely plant looks great in container gardens. Continue reading "Pennisetum (Fountain Grass): Dictionary of Flowers"
Dictionary of Flowers for Container Gardening: Osteospermum. 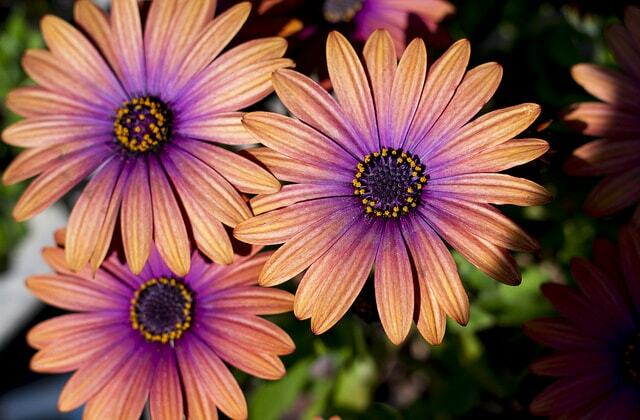 Also known as Cape Daisy and African Daisy, these flowers are GORGEOUS! Continue reading "Osteospermum (Cape Daisy): Dictionary of Flowers for Container Gardening"
Dictionary of Flowers for Container Gardening: Nigella Damascena. Also known as Love in a Mist, amazing blue-purple flowers with ruffs! 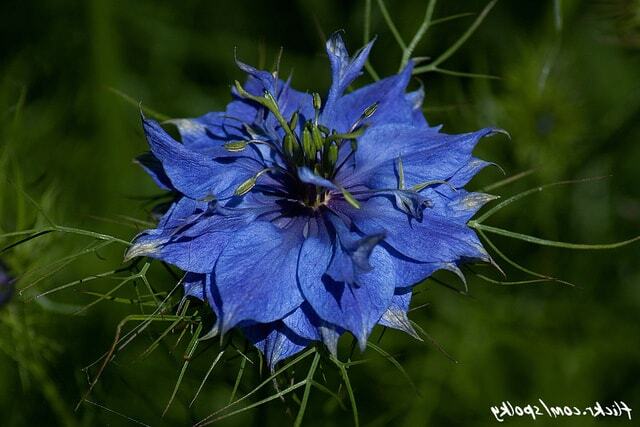 Continue reading "Nigella Damascena (Love in a Mist): Dictionary of Flowers"
Dictionary of Flowers for Container Gardening: Nierembergia. Also known as Cup Flower, they come in purple or white bell-shaped flowers. 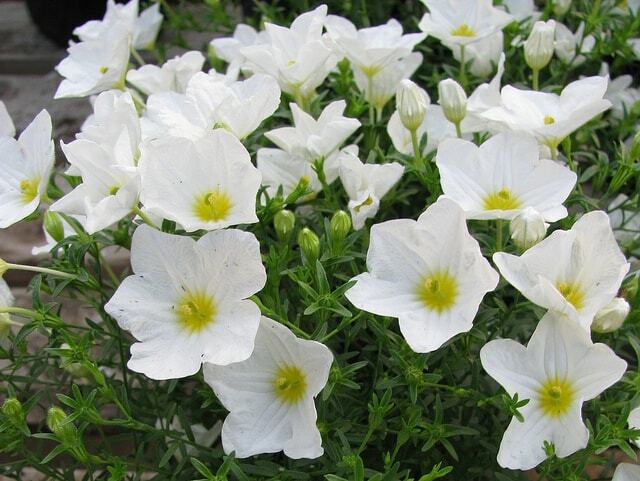 Continue reading "Nierembergia (Cup Flower): Dictionary of Flowers for Container Gardening"
Dictionary of Flowers for Container Gardening: Nicotiana Hybrids. 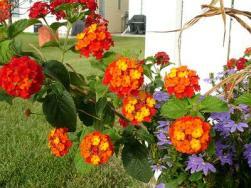 The flowering tobacco plant is a beautiful addition to any container garden display. 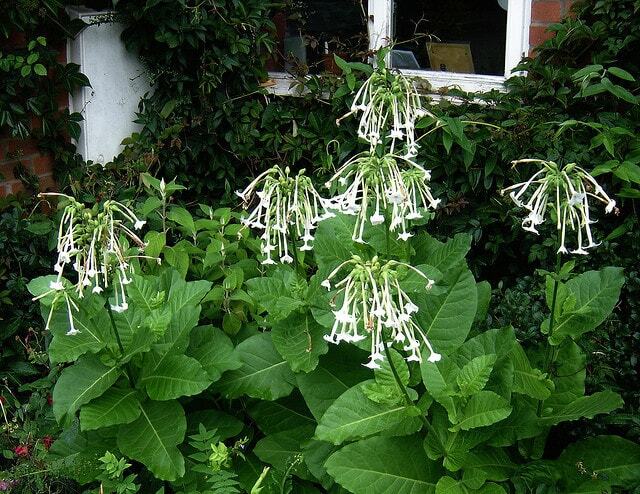 Continue reading "Nicotiana Hybrids (Flowering Tobacco): Dictionary of Flowers"
Dictionary of Flowers for Container Gardening: Nemophila. Also known as five spot and baby blue eyes, you can carpet your containers with these beauties! 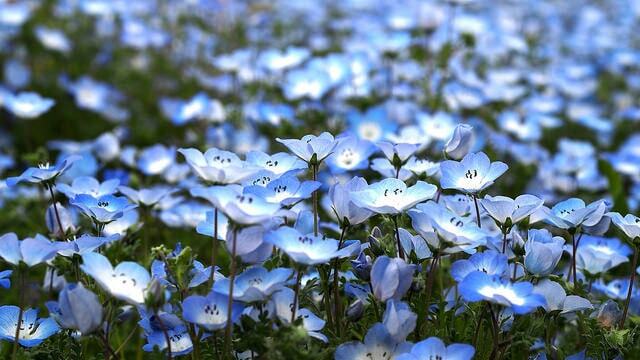 Continue reading "Nemophila: Dictionary of Flowers for Container Gardening"
Dictionary of Flowers for Container Gardening: Nemesia. Orchid-like annuals with delicate, intricate coloring. 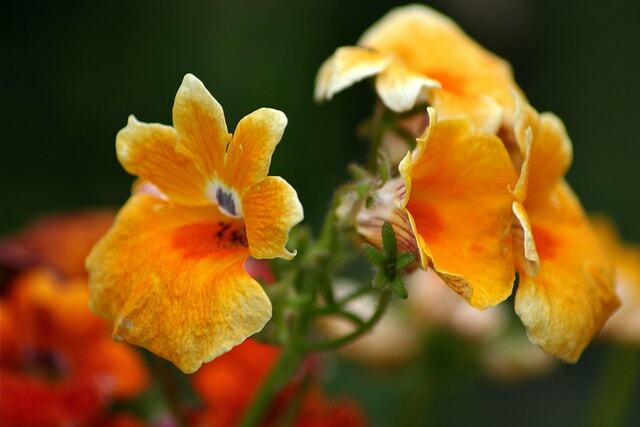 Continue reading "Nemesia: Dictionary of Flowers for Container Gardening"
Got A Great Story to Blog About? Do you have a great story to share? Blog it! Your blog post will appear on a Web page exactly the way you enter it here. You can wrap a word in square brackets to make it appear bold. For example my blog post would show as my blog post on the Web page containing your blog post.